Cut the avocados in half and scoop out the avocado meat with a spoon. Place in a large bowl and slightly mash with a fork. 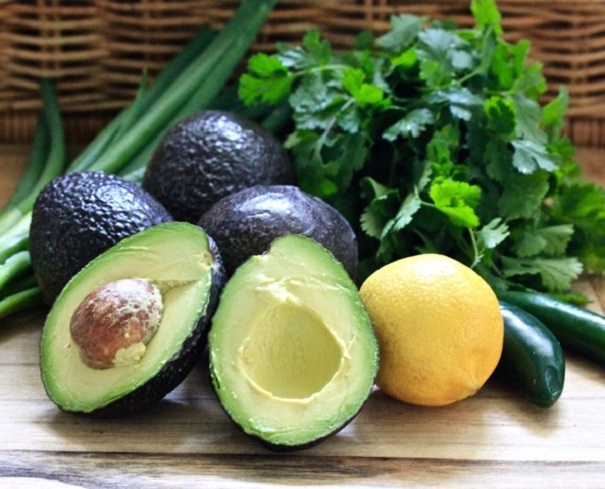 Stir in the lemon juice to keep the avocado from turning brown. Mix in the chopped green onion, cilantro, Serrano chilies and salt and pepper to taste. The guacamole is meant to be chunky; do not overmix. 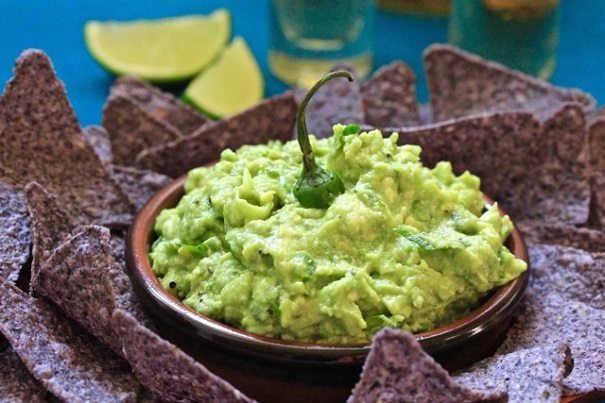 Serve with tortilla chips, preferably blue corn tortillas.